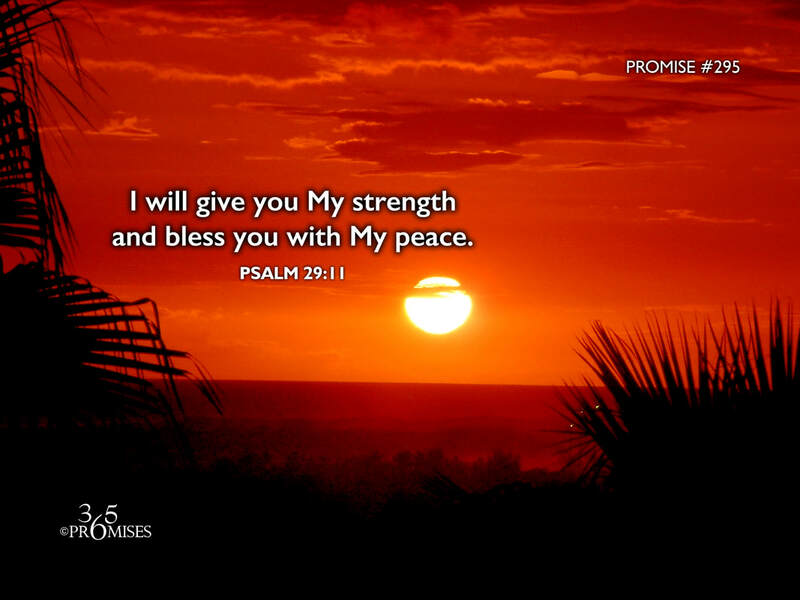 I will give you My strength and bless you with My peace. Yahweh will give strength to his people. Two things that we all need in our lives every day are strength and peace. There are so many challenges that life presents that will 'zap' our strength and steal our peace. The world is looking for these blessings in many vain pursuits but our God and Father has promised to give them to us simply because He is a good Dad. So when you are feeling weak and are in need of strength, remember this promise so that you can be strong in the Lord and the power of His might (Ephesians 6:10) And when you are feeling anxious and overwhelmed by the demands of daily life, remember that Jesus is the Prince of Peace and He has promised to give His peace to you (John 14:27) just because He loves you!